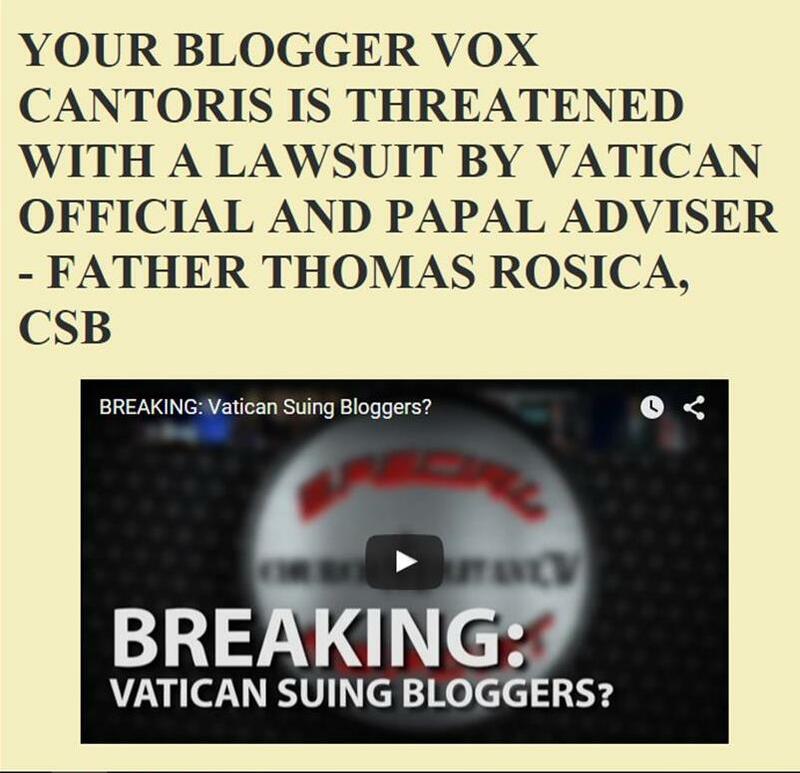 Vox Cantoris: Ten, sorry ELEVEN years ago today, we had a Pope! Ten, sorry ELEVEN years ago today, we had a Pope! Surely, as with the death of Kennedy or 9-11 we remember where we were. As I awaited with a group of Catholic colleagues, at the name Joseph, I knew instantly, and so did they. When Ratzinger was announced two of us raised our fists in the air, "yes!" The others were silent and walked away, grumbling. All is well. The Papacy of Benedict did much and it did one thing that will go down in history as the great turning point for the restoration of the Church. It was, without a doubt, an act of the Holy Spirit. If history remembers and praises him for nothing else, it will remember him for that. Unlike two words, Amoris Laetitia which sets Christ and against the Holy Spirit which is impossible and blasphemous which is proof that it is not magisterial, not infallible, not just and must be denounced and rejected by all. Eleven years ago, no? Joseph Ratzinger ascended April 19th, 2005. I remember vividly. I turned on the TV for my students. Considering the paucity of suitable papabile, I was delighted. I remember one of my teaching colleagues, a hardened Modernist type, was apoplectic with anger and grief. Medusa could not have looked worse. "How could they elect someone like that who has said so many things against women ?" Of course she could not give any examples of these statements. But such is the case with this type of theological catholic. Yes, Summorum Pontificum was an act of bravery. Perhaps the lifting of the excommunication of the SSPX bishops took even more courage. I remember that Bishop Fellay begged everyone to pray the Veni Creator Spiritus every day from the death of Pope John Paul II for the success of the conclave. +Fr. Nicholas Gruner also had it on the Fatima Center website www.fatima.org. I was on pins and needles when we had the TV on at work. When we heard that Joseph Cardinal Ratzinger had been elected Pope and took the name of Benedict XVI, I fell to my knees in joy and gratitude to God. I was thrilled beyond words. In September 2005, my friend went on pilgrimage to Rome with his parish. He brought me back a little icon of Our Lady of Tenderness that was blessed by Pope Benedict XVI. From the moment be was elected, the media were against him. Everything he said or did (Regensburg & SP come to mind) was scrutinized and criticized. Was he perfect? No. Did he make mistakes? Sure. That doesn't mean that the St. Gallen group should have conspired to get him to resign. I cried when he resigned and it still makes me sad thinking about it. I miss him so much. Let us pray for our Pontiff, Benedict. The Lord preserve him, and give him long life, and make him to be blessed upon the earth and deliver him not up to the will of his enemies.